The work Oscar Faber did at Shoreham Cement Works in 1948 was his chance to return to the concrete industry — he had began his working life in 1906 with Associated Portland Cement Manufacturers Ltd (APCM, Blue Circle Industries Ltd from 1978). APCM's works near Shoreham-by-Sea were Oscar Faber & Company's first new post-war works in England, and probably Europe. Faber designed its 91m high single reinforced concrete chimney according to the theories he had worked out forty years earlier with his mentor Charles Percy Taylor, then chief engineer at APCM. There were other commissions from APCM into the next decade, for work on their plants at Hope in Derbyshire, Cambridge, Magheramorne, Widnes and Hurlingham in London, as well as opportunities overseas at Lichtenburg in South Africa, Tolteca in Mexico and New South Wales in Australia. The concrete industry was changing and expanding in the post-war years, and throughout the 1950s and 1960s in Britain, peaking in the 1970s. To name one measure of this change, the annual production of ready mixed concrete is estimated to have been 150,000 cubic metres in 1950 but this increased more than 40 times over to 6,500,000 cubic metres by 1961. The growing use of concrete boosted the civil engineering side of Oscar Faber & Partners and, along with the firm's expertise in mechanical and electrical engineering, brought in a series of significant hospital projects. The first of these was Altnagelvin Hospital in Londonderry (1949 onwards), which was the first new UK hospital to be built after the Second World War. Other new hospitals included the Queen Elizabeth in Aden and the Kharkh in Baghdad, though the latter was abandoned after four years' work following the 1958 revolution in Iraq. The practice also helped with the rebuilding of Belfast City Hospital and London Hospital. 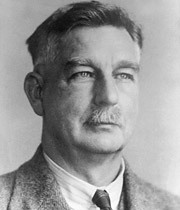 Faber and his partners also received commissions for university buildings, including those at Leeds (1949) and Belfast (1951), and for water storage structures (mostly water towers and service reservoirs). By 1949, the offices that Faber had taken at Grays Inn while engaged on the Bank of England rebuilding were far too cramped for the firm — even with additional accommodation across the road. In 1951, Rob Kell moved the mechanical and electrical department to a four-storey building on Queen Anne Street while the civil and structural department used the existing offices at Grays Inn and St Albans. Oscar Faber & Partners was also appointed as engineer for a new Lloyd's Building at 51 Lime Street in the City of London, designed by architect Terence Heysham (Terence Ernest Berkeley Heysham, 1897-1967, later Sir), replacing an earlier Lloyd's premises on Leadenhall Street. The Queen laid the foundation stone of the new building in 1952 and the Queen Mother presided over the opening ceremony on 14th November 1957. This building was demolished in 2004-5 to make way for the present Willis building. Lloyd's moved to a new headquarters at 1 Lime Street in 1986. Faber did most of his overseas work during the last ten years of his life. First he went to Germany with a panel of engineers to research the industrial progress that had been made during the war. Then he travelled extensively in Tanganyika (now Tanzania) where he collaborated on several projects with a Nairobi firm of architects (Blackburne and Norburn). He also worked on the construction of various buildings on the Gold Coast (now Ghana) for the United Africa Company, and later with architect Harrison Barnes & Hubbard on the country's university. There were also numerous trips to Baghdad with architect Naman Jalili and to Aden, again working with Harrison Barnes & Hubbard, for the hospital projects. In 1951 he visited the Australian state of Victoria to report on a potential plant site for chemical company British Celanese (part of Courtaulds from 1957 onwards). During the six-week trip he made time for one of his favourite hobbies, watercolour painting, reproducing the scenery and wildlife of Victoria's Dandenong Ranges outside Melbourne. Then in 1955, when Faber was back in England, the practice won the job of doing the whole of the engineering for the Wales Empire Pool in Cardiff, built for the Empire Games in 1958. It was the most ambitious post-war pool design in scale and standard. Up to 4,000 spectators could be accommodated and there was a range of competitors’ facilities, including Turkish baths. The swimming pool could be covered with a floor for boxing and other entertainments when required. The pool project was to be Faber's triumphant, but also tragic, final major project in a highly successful period. Mid design stage, he fell ill — on Sunday 6th May 1956 while gardening at his home in Rothamsted Avenue, Harpenden. He was taken to the Luton & Dunstable Hospital. Faber died from a heart attack at noon on 7th May, and it was his colleagues who completed the Wales Empire Pool project. Faber was cremated, and a memorial service for him was held at the Cathedral and Abbey Church of St Albans on Thursday 24th May 1956. Towards the end of Faber's life, his direct contact with staff members had dwindled to little, if not none, as he retreated into his shell. While this did not affect the engineering work being done too much, it did leave a gap in the running of the company. Faber left no systems in place for administrating, managing and controlling the business — he had always relied on his instincts. The five surviving partners met the day after Faber's death and agreed that Bob Glover would assume overall financial control for the firm. On all other matters the partners continued to have equal standing. Work poured in much as before Faber's death, but by 1961 it was clear that changes were needed to transform the firm into an organization that could overcome the challenges of the second half of the 20th century, and take it into the 21st century.